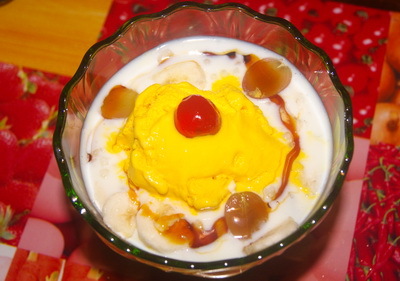 Falooda/faluda is a cold and sweet beverage for summer. Falooda is very refreshing. Traditionally it is made with lots ingredients; here I try to make it simple to keep it original flavour. If you like, you can use basil seeds. First need to soak basil seeds, drain it and add with it. 1. 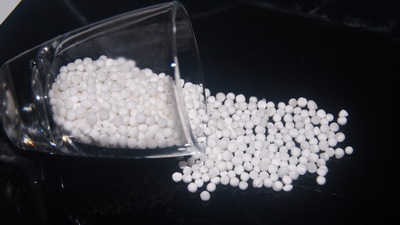 Soak seed tapioca in milk at least 15 minutes. 2. Cook milkwith cardamom powder till seed tapioca becomes tender and add sugar. 3. When sugar dissolves, remove from heat and let it cool down. Put it into refrigerator. 4. Take the serving bowl (I prefer ice cream bowl for Falooda) and first add seed tapioca. 5. Add half of all fruits and on the top of fruits add 1 spoon ice cream. 6. Spread 1 spoon honey and put half cherry on the top. Repeat the process for next one. 7. 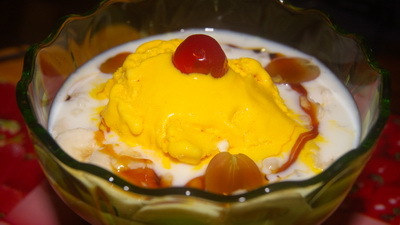 Serve chilled falooda /faluda right away.